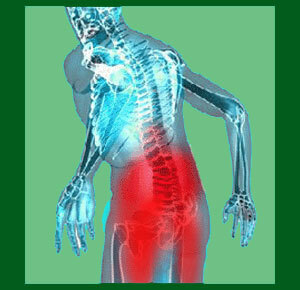 Spondylolisthesis pain management practices range from conservative to invasive and from constructive to dangerous. Although often associated with drug therapies, there are actually many different types of pain management methods available to patients and some are certainly far superior, safer and more effectual than others. Pain management continues to be a much discussed and debated specialty within the larger healthcare community. Doctors learn in school that symptom-targeting care is sub-standard and should be avoided whenever possible. However, once in clinical practice, the lure of easy money and the needs of their patients often override their basic educational imperative towards curative care. This focused dialog delves into the pain management specialty and focuses especially on practices used to reduce the severity of spondylolisthesis symptoms. We will provide a complete picture when it comes to choosing the best pain management techniques for your needs and will detail the benefits and pitfalls of the most common modalities of care. Pain management practices are symptom-targeting, but not curative in scope. This means that while they may reduce the severity and effects of pain and other symptoms, they do nothing at all to address the underlying vertebral migration issue. Basically, they might relieve pain, but they will never provide a cure. Pain management can become a lifestyle for many patients with chronic symptoms from a host of different diagnoses, including spondylolisthesis. Once a person begins to focus their attention on treating pain, the symptoms tend to escalate, rather than ameliorate. The patients will likely require ever-more dangerous methods of pain management in order to achieve comparable results year after year. Due to this truth, and other reasons which will be examined below, pain management offers a temporary bandage for acute symptoms, but offers a very poor solution for chronic expressions that endure over long timelines, such as virtually all listhesis profiles. 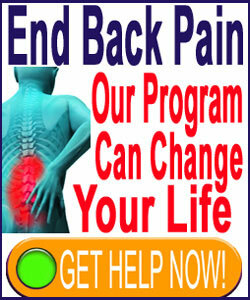 The single most frequently used form of pain management is surely drug therapy. Pharmacological products account for the vast majority of pain management applications and can be used orally, via injection or transdermally. For spondylolisthesis, both oral and injectable applications are the most frequently utilized. However, there are other forms of symptom-targeting care available, as well. The traditional medical sector offers a range of exercise therapies that range from activity-related exertions to basic physical therapy. TENS is another pain management practice that utilizes electrotherapy devices. Complementary care practices include chiropractic, massage, posture therapy, acupuncture and many other modalities of care. There are also many home-use devices that claim to reduce the severity of pain, ranging from back braces to all manner of traction and support solutions. These products are usually designed to provide symptomatic-reduction, but some might even claim curative abilities in rare instances. Generally, pain management is contrary to accepted medical philosophy. Curative care that addresses the underlying cause of pain is preferred and superior. However, when particular patients are temporarily or permanently contraindicated from seeking curative care, then symptom-targeting modalities are acceptable and provide humanitarian relief from suffering. Symptomatic care is virtually always much more expensive in the long-term compared to curative care. Direct financial cost is only part of this equation, since time lost for treatment and additional time spent dealing with flare-ups and the limitations of continuing symptoms must be taken into account. Drug therapies are toxic and will cause severe health consequences when used for extended durations. There is no way to prevent the patient from suffering ever greater effects as they will likely require larger doses and more powerful substances as their body gains tolerances to drugs. Some therapies have collateral health benefits to consider, such as exercise, massage and chiropractic. These modalities should be preferentially recommended to patients, since they have fewer risks, as well, compared to drug-based techniques.